BATON ROUGE, La. (AP) — Louisiana’s newest state treasurer will be sworn into office Dec. 5. 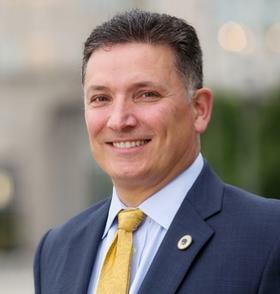 Treasurer-elect John Schroder’s swearing-in ceremony will be held in Kenner that evening, followed by a reception. It falls the day after the election results are official, according to the Secretary of State’s office. Schroder, a Republican former lawmaker who pledged to keep a tight watch on Louisiana’s finances, won the Nov. 18 special election with 56 percent of the vote. The business owner and real estate developer defeated Democratic lawyer Derrick Edwards to be Louisiana’s chief money manager and investment officer. The competition was unable to catch the attention of most voters, with record-low turnout. Schroder will fill the seat vacated by John Kennedy, a Republican who left the job early after winning election to the U.S. Senate.